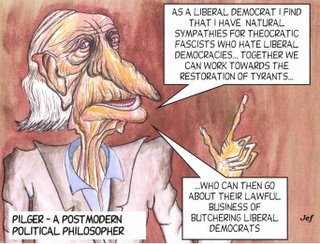 The Skeptic's Field Guide: Pilger - Left or Right? Confused or Confusing? Pilger - Left or Right? Confused or Confusing? 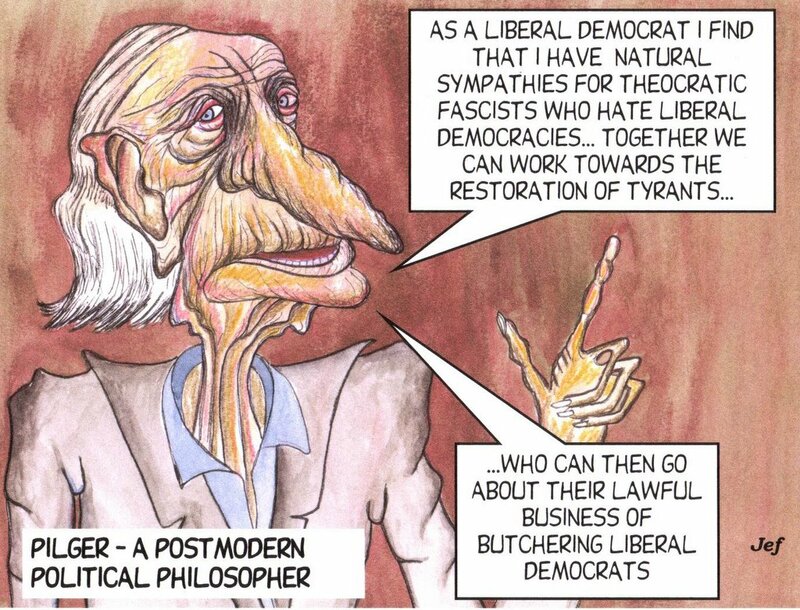 This cartoon exemplifies my current skepticism about the venerable political labels of left and right. I think that such lables are now effectively meaningless. I think to identify as wholly the one or wholly the other is to surrender to group-think, and to nullify the prospect of approaching issues with open-minded skepticism.